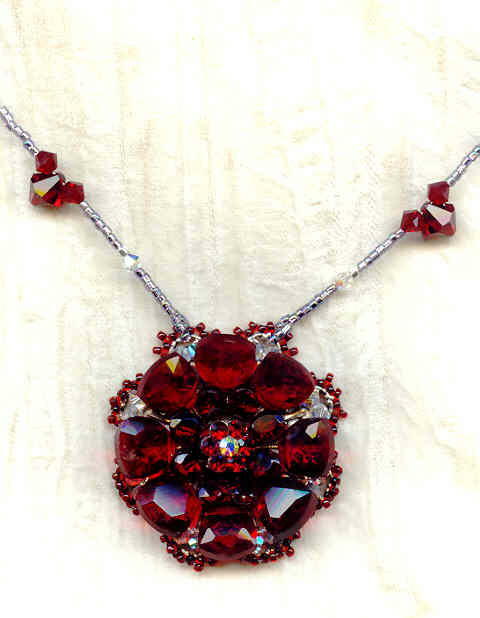 The small garnet oval and larger Siam ruby triangle glass drops I've used to make the pendant are vintage Swarovski, made specifically for the House of Dior. The centre of the pendant is a floral finding set with Swarovski rhinestones in crystal aurora boreale and Siam ruby. 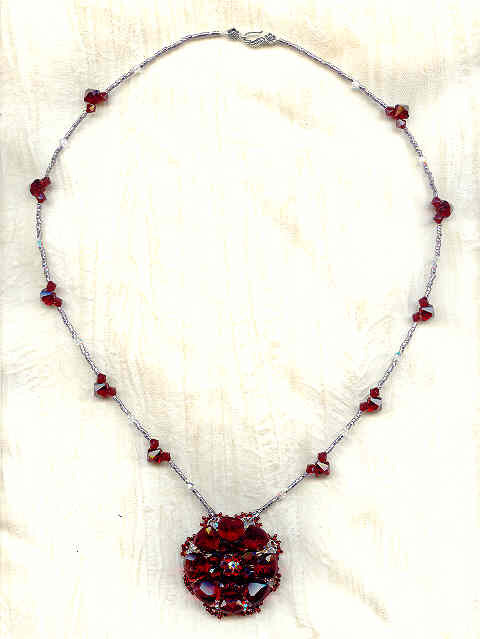 The drops are hand fastened (by me) to vintage high-quality silver tone filigree findings; then a second finding is attached by a picot edge of garnet seed beads, sandwiching all the threadwork between the two metal pieces, and away from buttons and other potential snagging hazards. The finished pendant is roughly 48mm (2") in diameter. 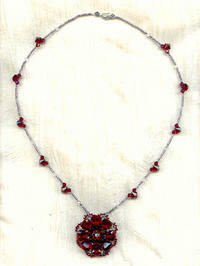 The pendant is suspended from 24" of silvery seed beads, Swarovski crystal aurora boreale bicones and 8mm Siam ruby red bicone drop beads.